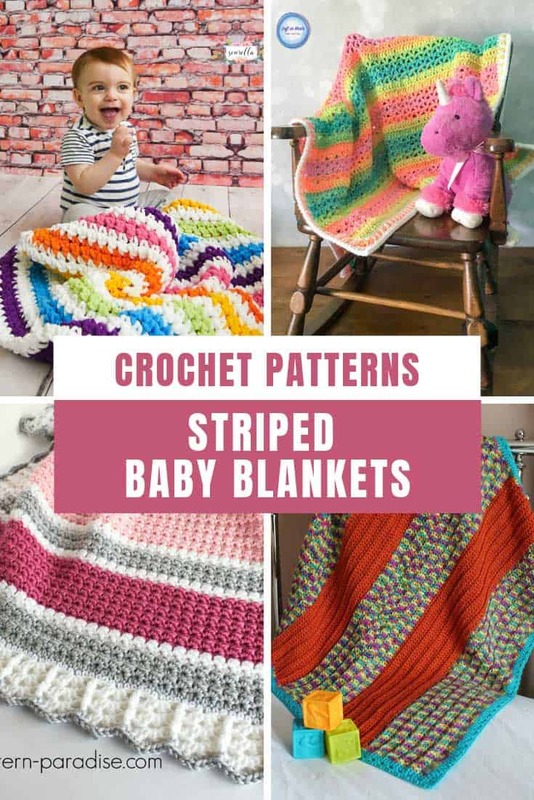 Bring your nursery to life with one of these GORGEOUS stripe crochet baby blanket patterns. 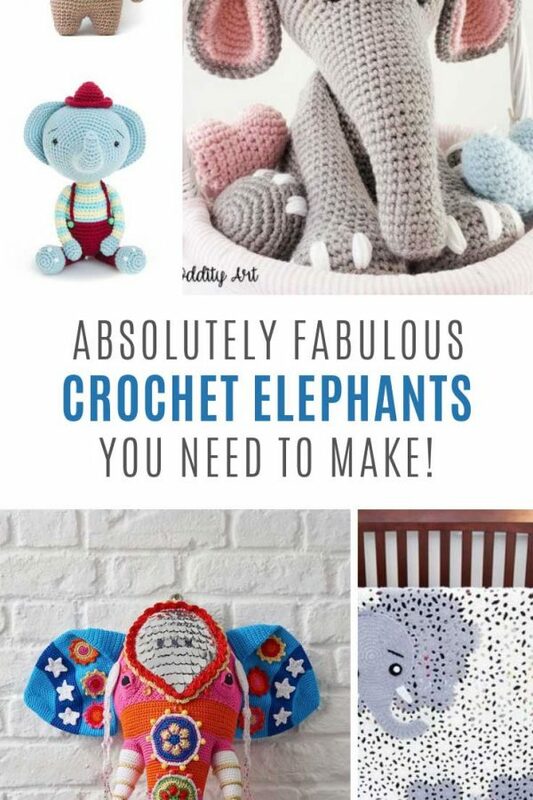 They make wonderful baby shower gifts too! 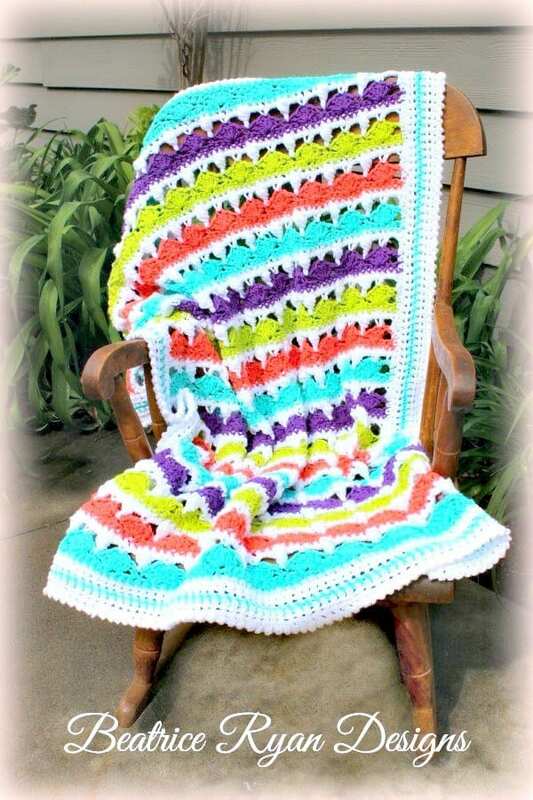 Let’s continue our crochet baby blanket patterns theme with stripes! 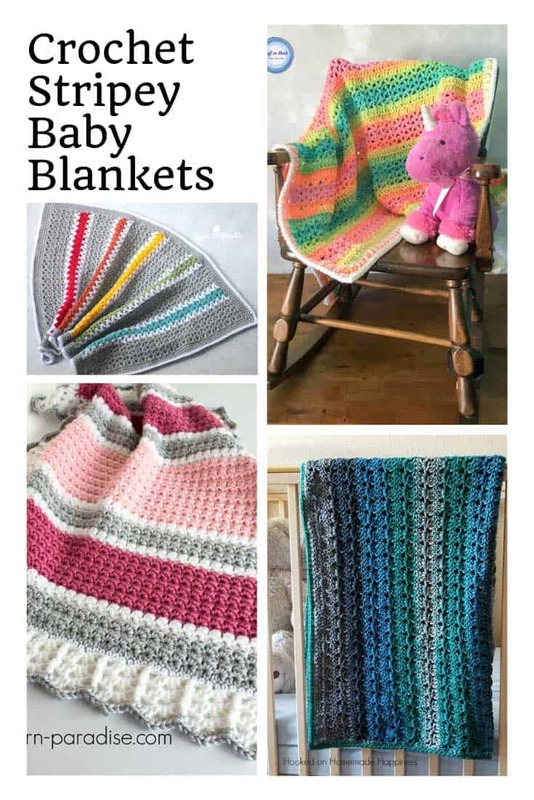 Today’s blankets are snuggly and cozy for wrapping up baby but will also add a pop of color to your nursery. 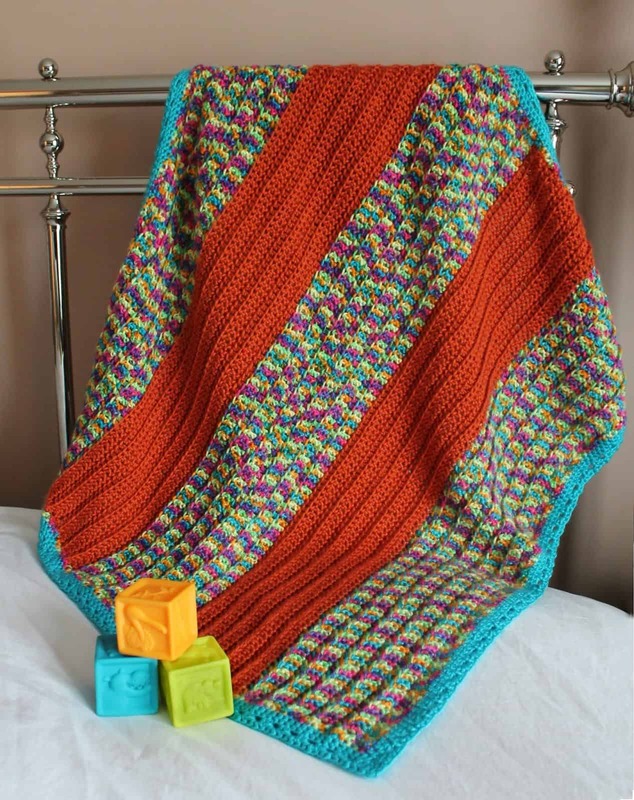 Of course a homemade baby blanket also makes a wonderfully thoughtful gift for a friend having a baby. 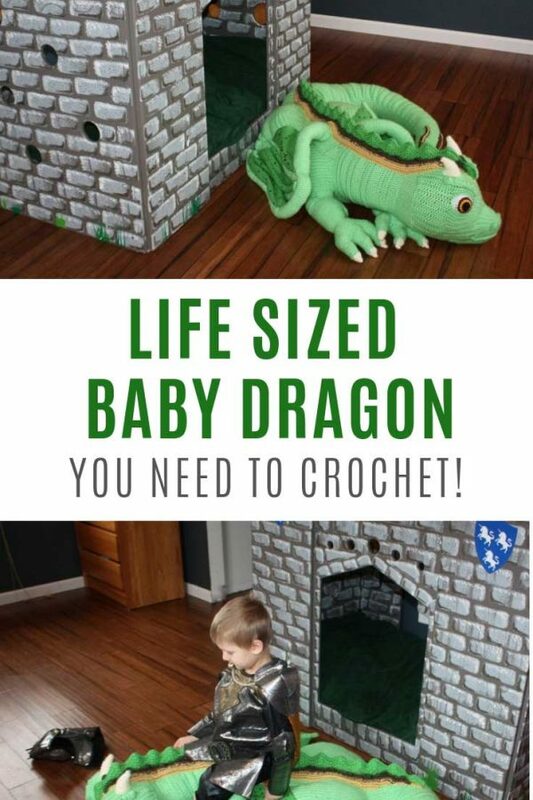 Just be warned that all of your pregnant friends will want you to make one! 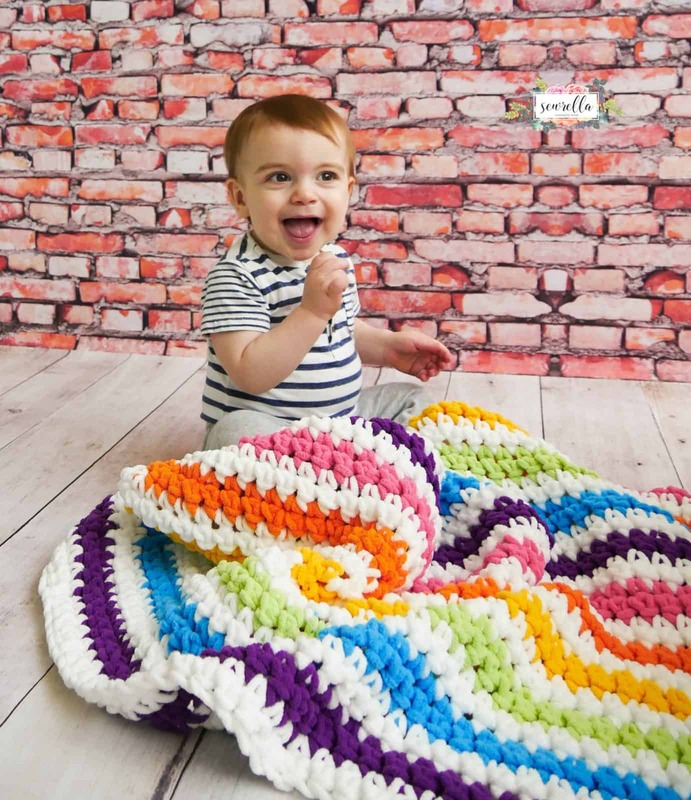 This first blanket caught my eye because the rainbow colors pop but overall the grey yarn and the simple edging mean this blanket is perfect for a baby boy. 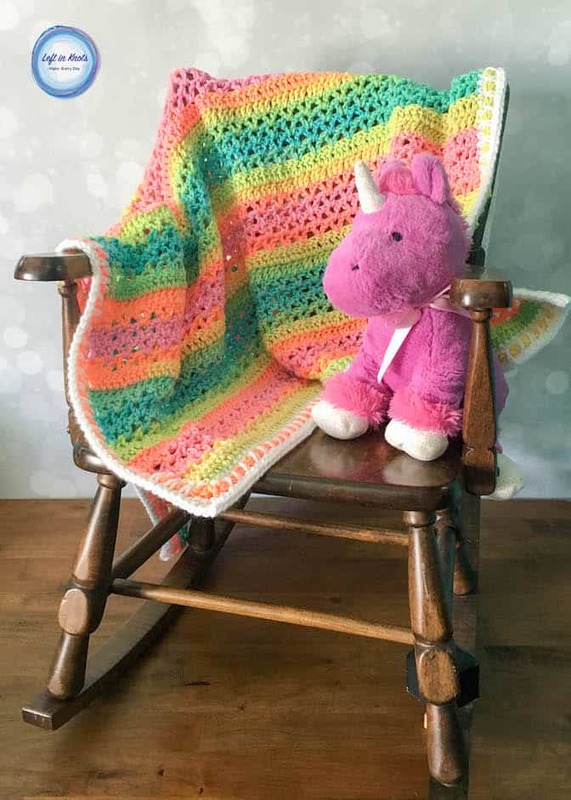 It was designed for a rainbow baby (that’s a baby born after a still birth or miscarriage) and since I have two rainbow babies of my own I just had to share it with you! 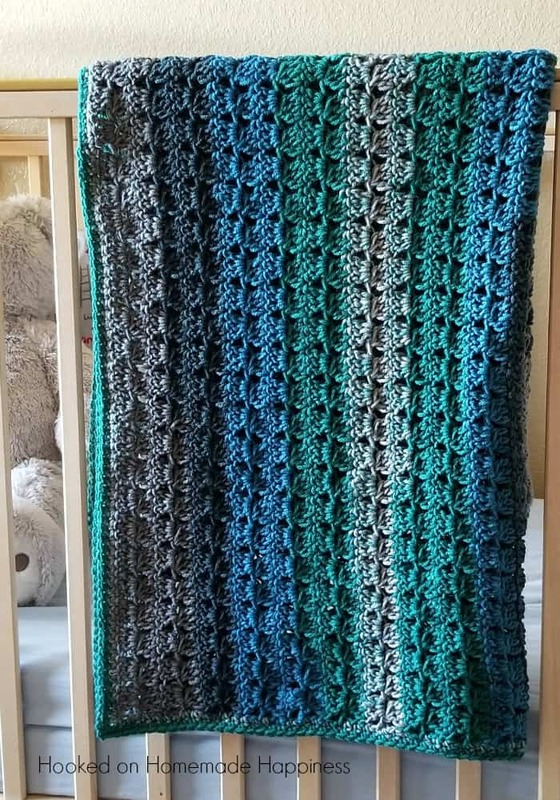 I picked out this blanket because I love how the stripes are different widths which adds a lovely visual texture, and look how precious that border is! 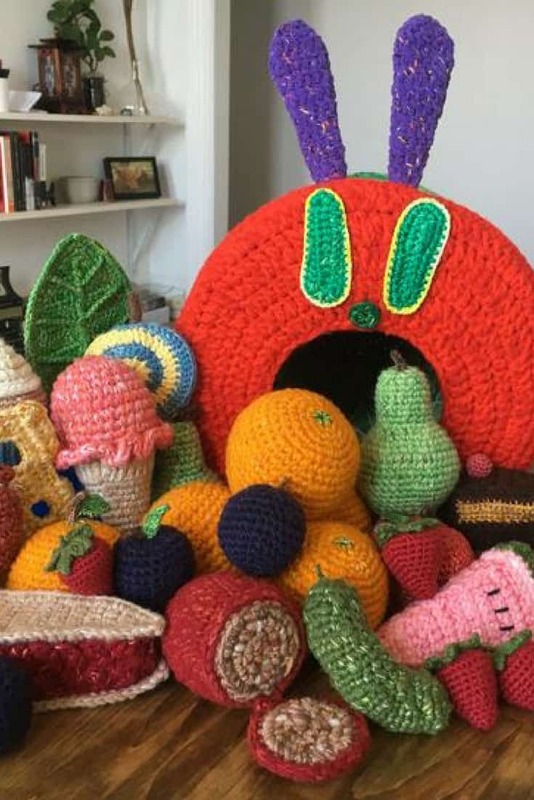 This is the perfect blanket for someone expecting a sweet baby girl, and you can use whatever colors you like – perhaps to match the nursery decor? 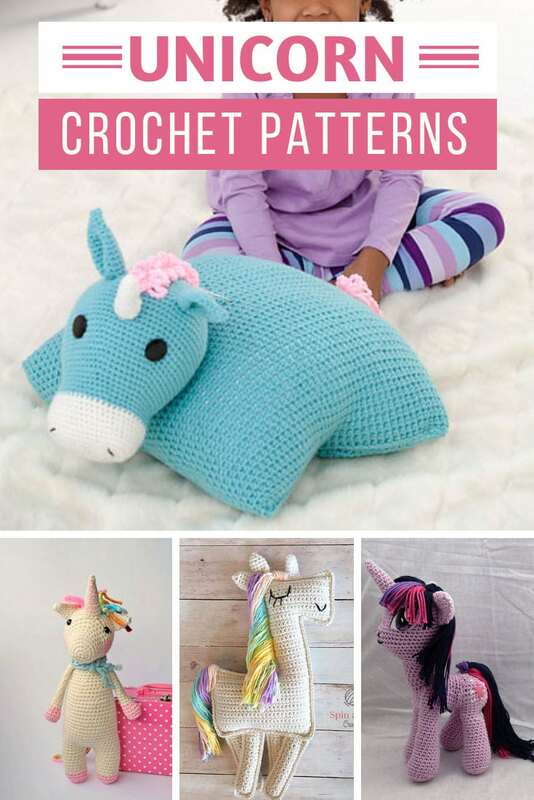 I know how y’all just cannot get enough of unicorn patterns so here’s another one to add to your list! 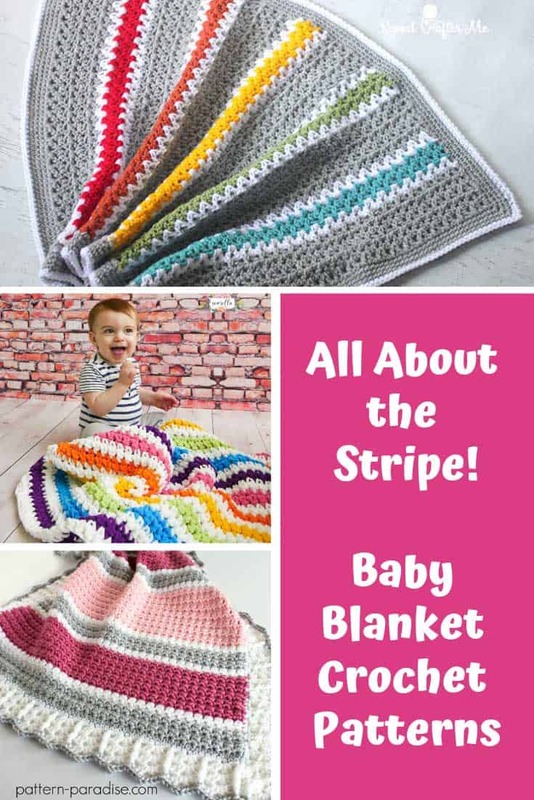 If striped blankets put you off because of the color changes this pattern has you covered, because it uses self striping yarn! 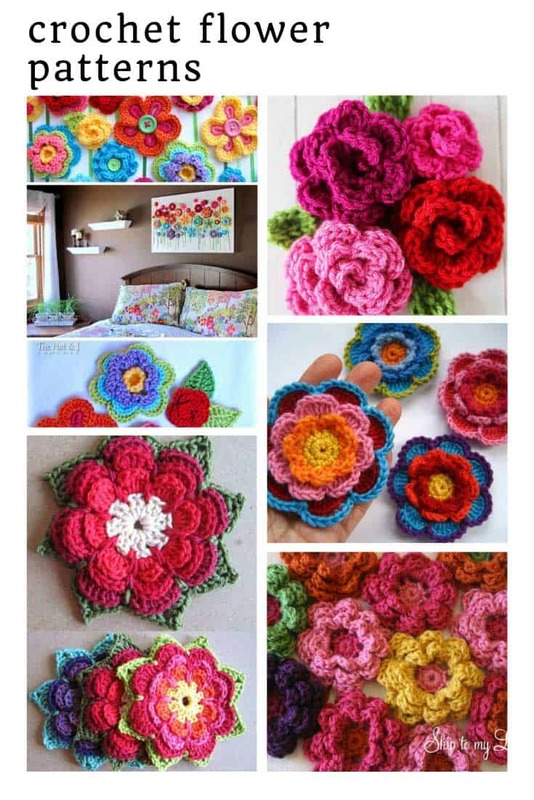 What a fabulous name for a blanket, and doesn’t it just remind you of a summer’s day? I love the color combination on this one. 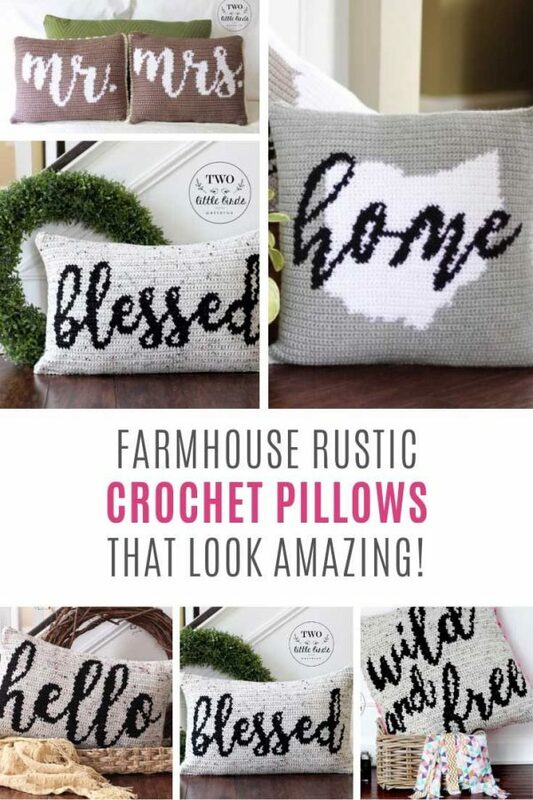 The pattern uses the Front Post Cluster stitch that I hadn’t heard of before so just in case you need some help with it too I found a video tutorial! 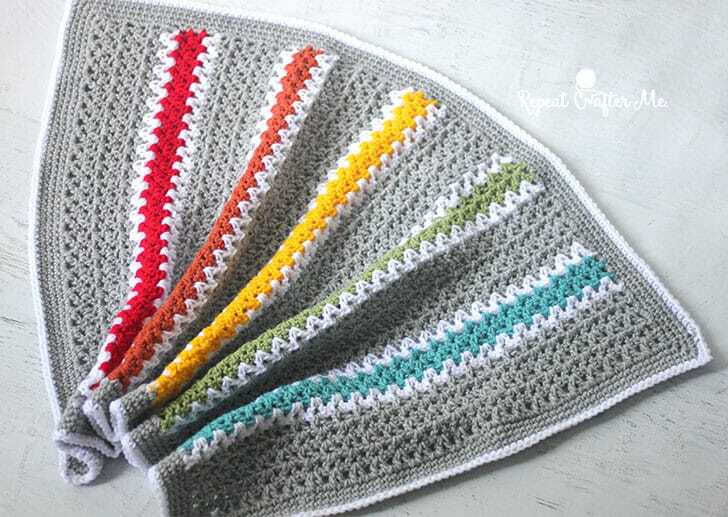 I love the texture of this baby blanket! I don’t think the photos do it justice. 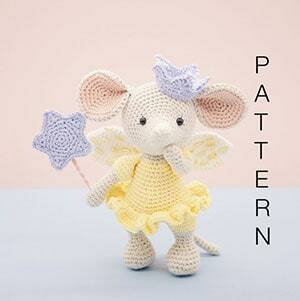 This pattern uses bobble stitch, which are worked from the wrong side so that they pop out. Here’s a video in case you can’t wrap your head around it! 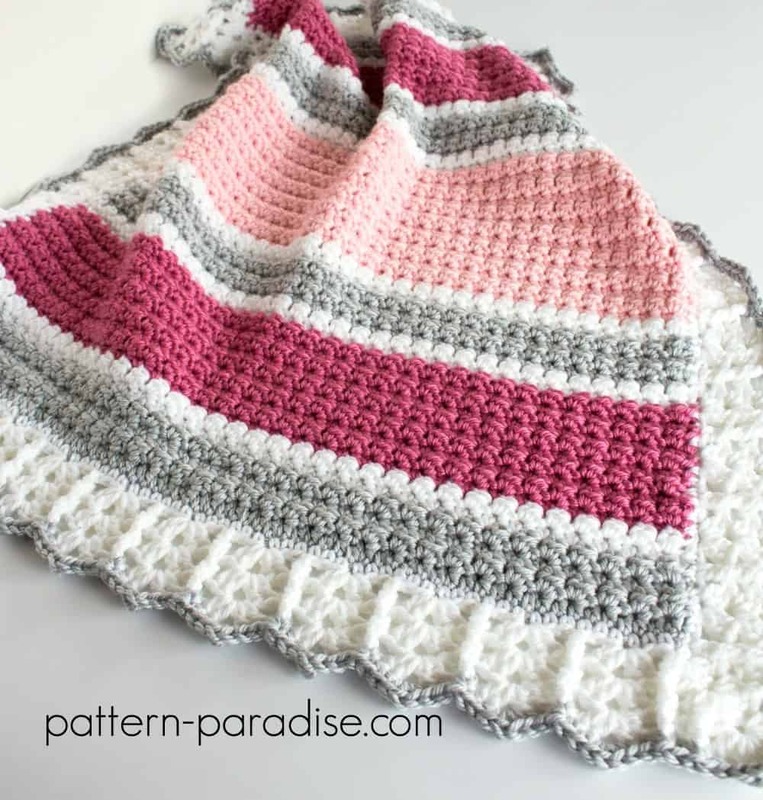 Here’s another crochet abby blanket pattern that uses yarn cakes so you don’t have to worry about weaving in all the ends of your color changes! 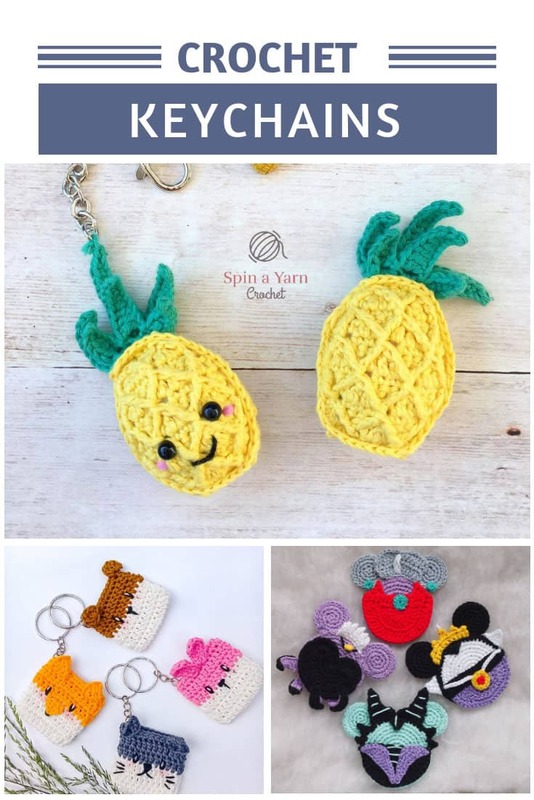 You’ll need to pay a little extra care to this pattern since it uses crown clusters and you don’t want them all to end up sideways! 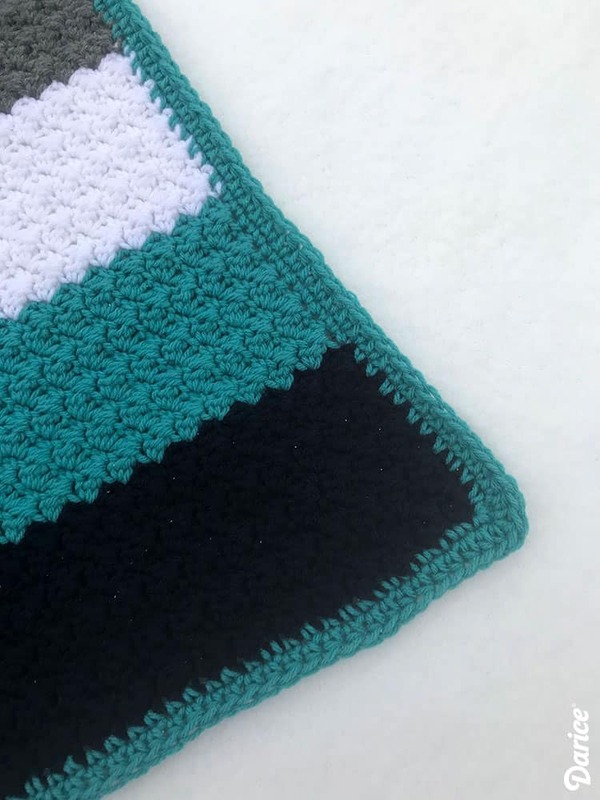 Here’s another gender neutral baby blanket design. I really like the broad stripes on this one, and the mix of the variated yarn with the block colors. And lets finish up with this gorgeous grit stitch blanket (wow so many new stitches for me today!) 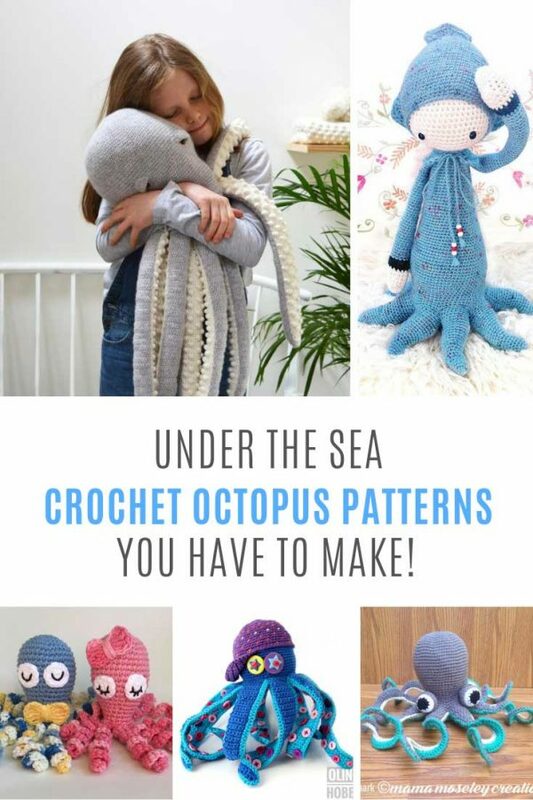 I love the color combination here, just perfect for a winter baby don’t you think? 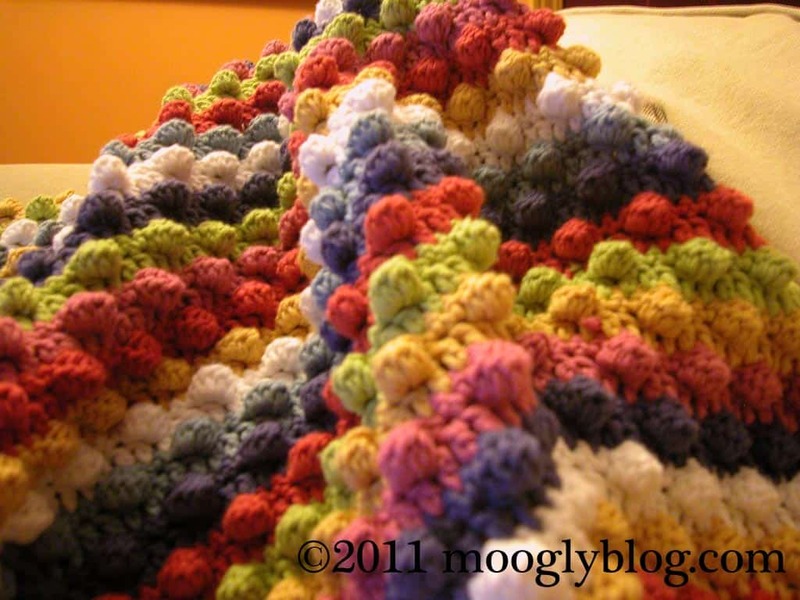 The grit stitch makes the blanket nice and thick because there aren’t any open stitches.